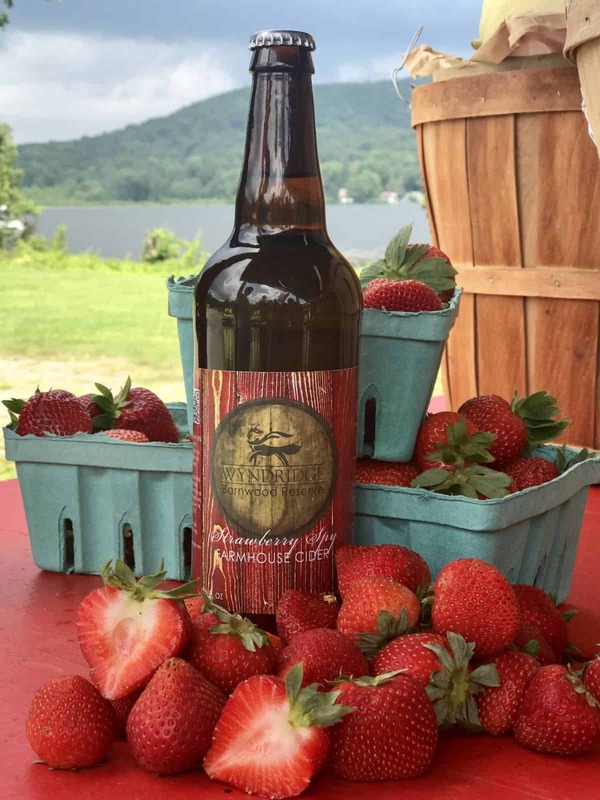 Strawberries will be in the spotlight at Wyndridge Farm when the new Strawberry Spy Farmhouse Cider is released on July 21. The limited edition, limited release 6.2% ABV cider is an ideal summer beverage comprised of fresh-pressed cider fermented dry, which has undergone a secondary wild fermentation with strawberries picked fresh from Brown’s Orchards. After aging, the cider was blended with a barrel-aged cider featuring Northern Spy and Winchester apples, offering up a complex finished product. Keep in mind, this new cider will only be available for a short time as just 100, 22-ounce bottles will be sold at the Wyndridge Farm Store starting on July 21. The price is $12.95 per bottle. If you want to try this limited release strawberry-kissed cider, make plans to be at Wyndridge Farm on release day! Find Wyndridge Farm at 885 S. Pleasant Ave. in Dallastown; phone: (717) 244-9900.